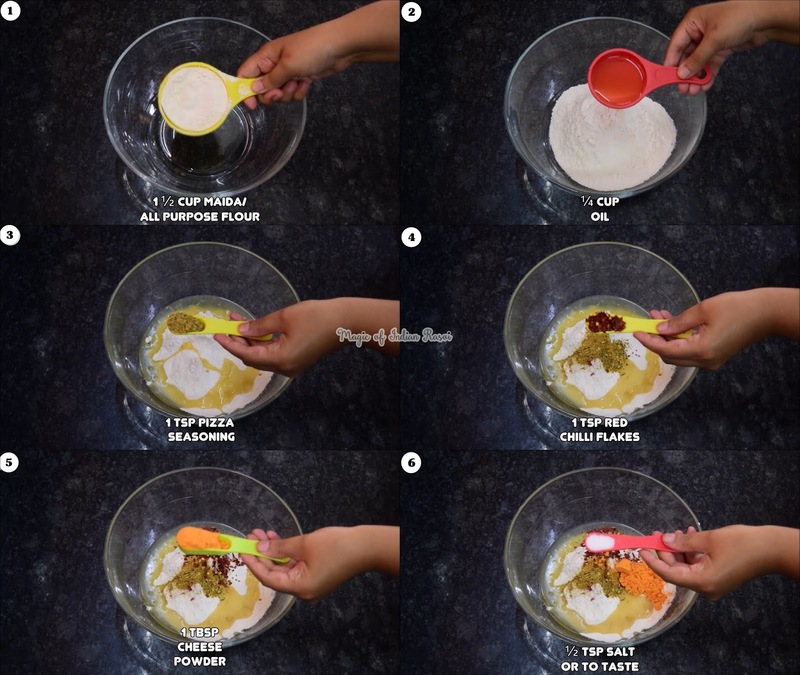 Pizza Mathri Bites is a delicious snack recipe with Italian twist made using pizza seasoning and cheese. 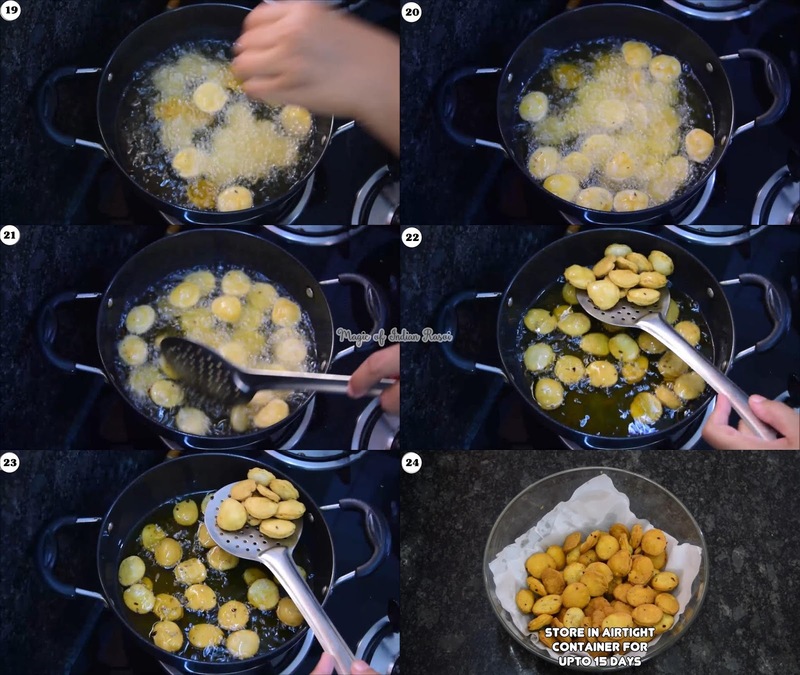 It is a wonderful snack to serve the guests during this Diwali. Serve it with other snacks and tea or cold drinks! Kids will love this Mathri. 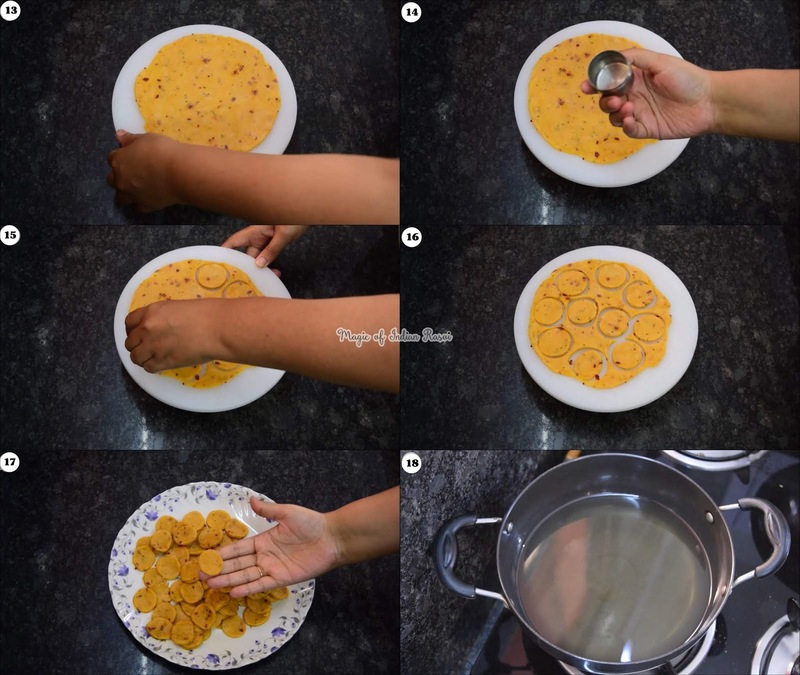 Mathri is a traditional North Indian snack made all throughout the year and especially during festivals like Diwali. It is crispy and light and it is made in various flavours and shapes. Do try this recipe infused with herbs and spices this season! 1. In a big bow mix maida, oil, salt, chilli flakes, pizza seasoning & cheese powder. 4. Using a rolling pin roll the balls in to a Paratha like Roti with thickness approx 1/4". 5. Using a cookie stencil cut Mathri in desired shape. 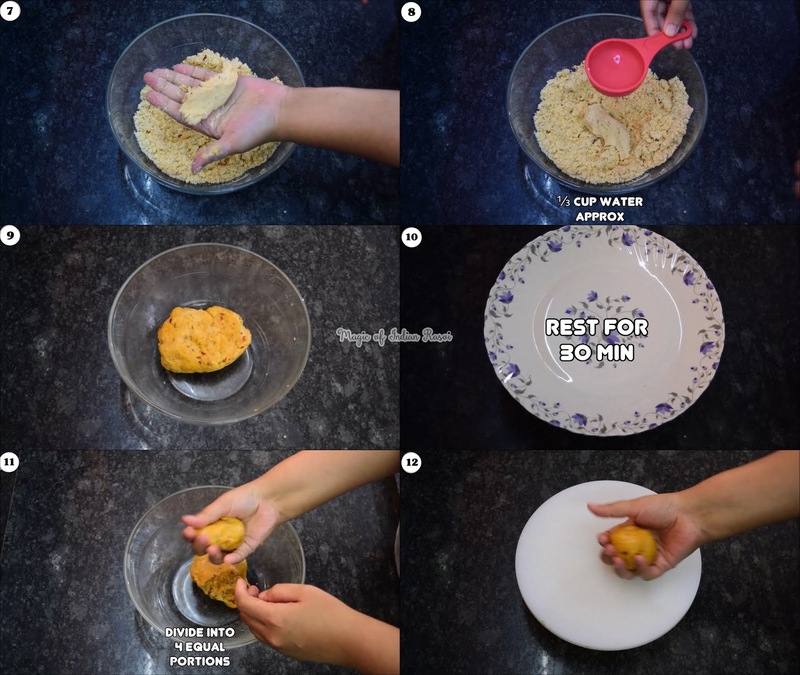 Alternatively make smaller balls from the dough and roll it to Small Puri Shape rounds. 6. Deep fry in hot oil in about 2 batches. When putting the Mathri in Hot Oil keep the flame on medium and then reduce to low flame. Fry Mathri on low flame for 5-7 min till golden. Do not use medium or high flame as Mathri will remain uncooked from inside. It should be cooked slowly to cook from inside.